Here is a downloadable compiled Help file covering the vagaries of Excel VBA. You can use this file without having to, necessarily opening the application. But you can do something similar if you use VBA and store the results in another location. "In Microsoft Excel you can avoid circular references when you create a running total by storing the result in a non-calculating part of a worksheet. This article contains a sample Microsoft Visual Basic for Applications procedure that does this by storing a running total in a cell comment." The macro runs each time the value of a cell changes. It adds the current value of the cell to the value of the cell comment. Then it stores the new total in the cell comment. I'm sure someone can come up with other uses for this macro. A computer user can open without a prompt a digitally signed project from a trusted publisher. Otherwise, the application blocks opening signed projects from untrusted publishers as well as unsigned projects. A computer user can open without a prompt a digitally signed project from a trusted publisher. In addition, you can also designate the publisher of a signed project as trusted so their projects will open without a prompt in the future. Unsigned projects are always prompted with a reminder that the file may contain potentially harmful code, but users can elect to open them anyway. A computer user can open an unsigned project without a prompt. When users make a Low security setting, they're reminded that they aren't protected from potentially unsafe macros. "If you've used Access 2003, you've probably seen several security warning messages - Access 2003 cares about your security. An important part of Access 2003 security is digitally signing your code. As Rick Dobson shows, you can do it, but preparing for digital signing is critical. A digital signature acts like shrink-wrap on your project: Clients know that they're getting a copy directly from you that no one else modified. Clients will also know that they're working with "your" code and not any version of it modified by a third party. As computing moves forward into a "security conscious" era, learning how to acquire and use a digital certificate is also important for interfacing with organizations that adopt policies of only running digitally signed Access 2003 projects: Your users may refuse to accept software from you that isn't shrink-wrapped." Use named arguments for cleaner VBA code. When you work the MsgBox function this way, the order of the arguments can't be changed. MsgBox "Hello World! ", , "My Message Box"
Named arguments allow you to create more descriptive code and define arguments in any order you wish. To use named arguments, simply type the argument name, followed by :=, and then the argument value. For some reason (to be determined later) my shortcut menu started to accumulate a string of "Edit Formula" and "Delete Formula" entries. They didn't cause a problem, but were distracting. This little VBA code puts it back to the original settings until I can find a cause. "Automation (formerly known as OLE Automation) is a feature of the Component Object Model (COM), an industry-standard technology that applications use to expose their objects, methods, and properties to development tools, macro languages, and other applications. 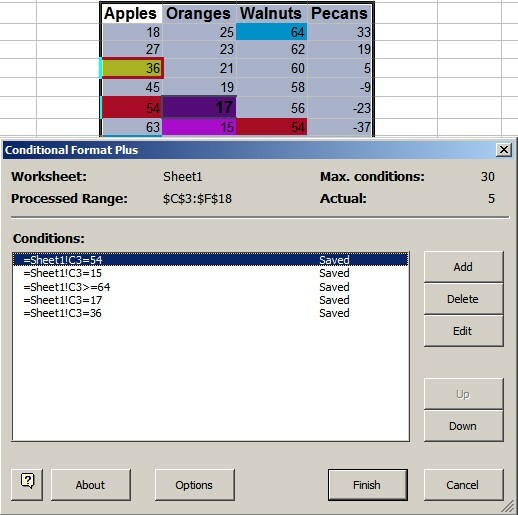 For example, a spreadsheet application might expose a worksheet, chart, cell, or range of cells--each as a different type of object. A word processor might expose objects such as an application, document, paragraph, bookmark, or sentence. When an application supports Automation, the objects that the application exposes can be accessed through Visual Basic. You can use Visual Basic to manipulate the objects by invoking methods or by getting and setting properties of the objects." With Automation code, you can open a Microsoft Word document and move to a bookmark location in the document. The following example opens a Microsoft Word document and inserts text after a bookmark. This example assumes that you have Microsoft Word on your computer, that you have an existing document called C:\My Documents\WordTest.doc, and that the document contains a pre-defined bookmark named City.
' Go to the bookmark named "City".
' Save the modified document.
' Quit Word without saving changes to the document. Microsoft Support provides an entire Help file to assist you. It includes theory and examples. The file is called XPAutomation.chm. Download it and then double click on the file to run it. You could also set up a shortcut on the desk top, if it will be used frequently. Indenting blocks of VBA code, such as statements within loops or If...Then statements, makes reading a procedure much easier. You probably indent a code statement using the [Tab] key, and outdent by using [Shift][Tab]. However, you may not be aware that the [Tab] and [Shift][Tab] techniques also work when multiple code lines are selected. The Visual Basic Editor also provides Indent and Outdent buttons on the Edit toolbar that allow you to easily reposition blocks of code. 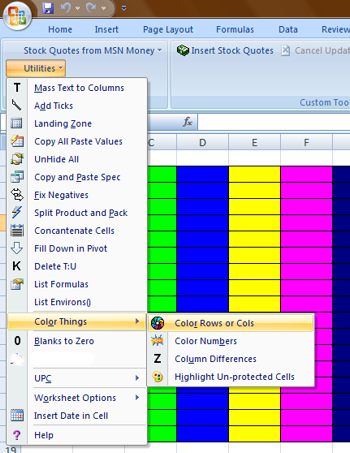 Microsoft has provided 22 ways to select cells/ranges by using Visual Basic procedures in Excel. You'll many times want to change blocks of code to comments in VBA modules; temporarily convert a block of VBA code to comments so that it's ignored during a trial run. Inserting an apostrophe before each line of code is a bother. Office 2000+ simplifies this task by letting you convert a block of code to comments with a click of a button. Open any module in the Visual Basic Editor (VBE), and then choose View>Toolbars and choose Edit from the menu bar to display the Edit toolbar. Select the lines of code that you want to turn into comments. Then, click the Comment Block button on the Edit toolbar (it's the sixth button in from the RIGHT end of the toolbar). Each line of the selected code is now preceded with an apostrophe. To convert the comments back to executable code, select the appropriate lines and click the Uncomment Block button, which is immediately to the right of the Comment Block button. This, of course, works in any application that uses the VBE. Ross, suggested that two or three apostrophes (sometimes called inverted commas) be placed around existing comments. When the Comment Block is used, the original comments will not be removed.